Happy Birthday Coalie! It seems like just yesterday you were the size of a hamster! Isn't he just simply adorable? Happy Birthday Sweetie! Plantress-that is actually a baby picture of him! 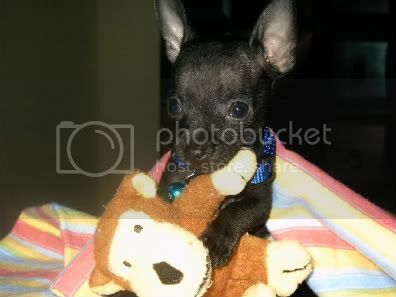 :) That was his very first toy! I bought it for him when my mom first got him. Too cute!! Happy birthday Coalie!